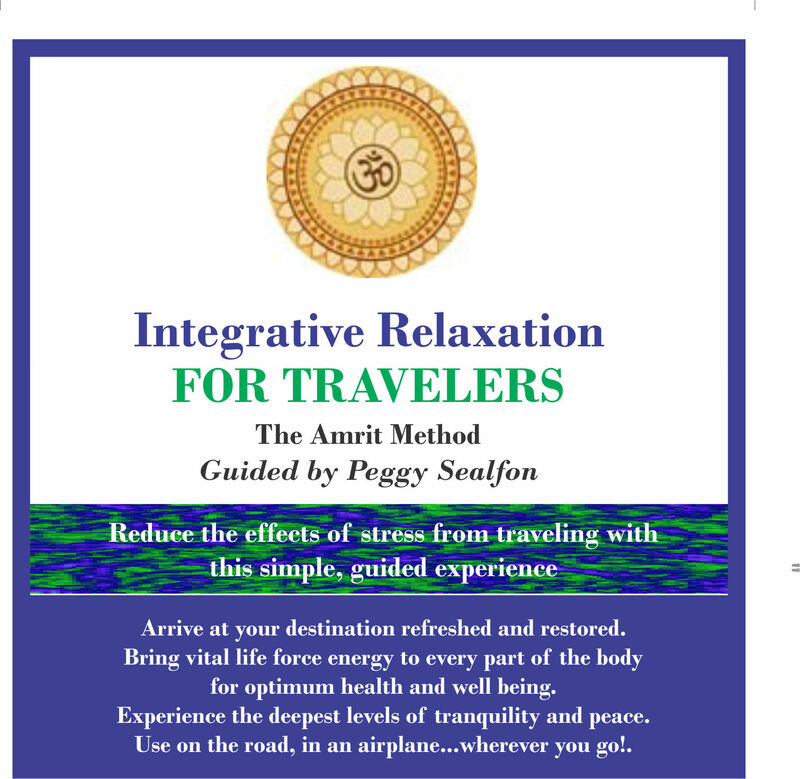 The Integrative Relaxation FOR TRAVELERS CD in the Amrit Method offers a 20 minute de-stressing experience to use when you're on the road by plane, train or car (when a passenger or not driving). Arrive at your destination refreshed and restored. Bring vital life force energy to every part of the body for optimum health and well being. Experience the deepest levels of tranquility and peace. Use on the road, in an airplane...wherever you go!. Peggy Sealfon is trained by world-renowned Yogi Amrit Desai to teach these life-changing methodologies that are very simple and yet powerful. The methods provide for spontaneous healing, rejuvenation and restoration in body, mind and spirit. The technique is also called Yoga Nidra, a yogic sleep that mimics the benefits of deep sleep but in a conscious state of being that is thoroughly transformational. Just 20 minutes of Integrative Relaxation has been shown to be equivalent to 3 hours of sleep. By listening to this CD regularly, you may discover miracles emerging in your life.